Much has been written on the history of this airfield and I will provide only a short description of the site in this page. What is needed is personal accounts of the airfield from those that served here and I hope to add these when they become available. 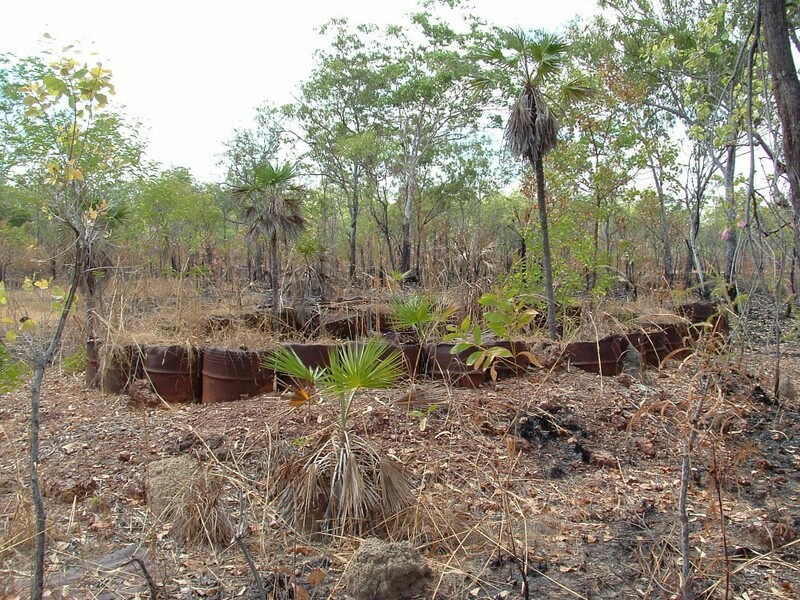 On a personal note I would have to say that this site more than any other is what sparked my interest in the history of the Second World War in the Northern Territory. 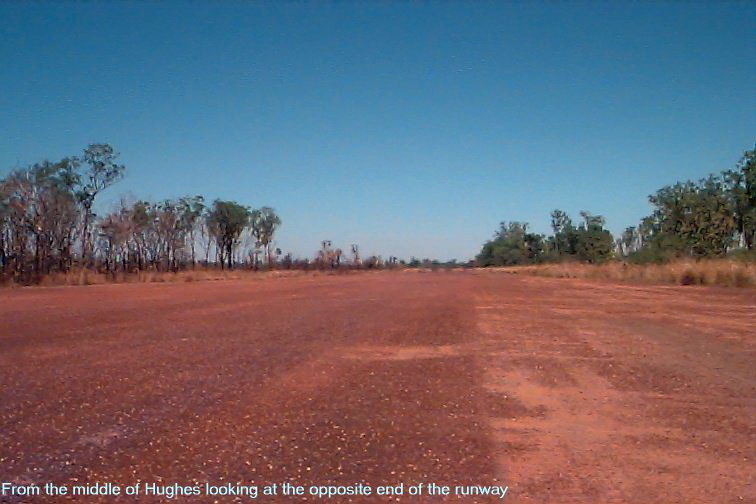 This Airfield was once open to the public but is now closed for use by local fire fighting air units in the area. 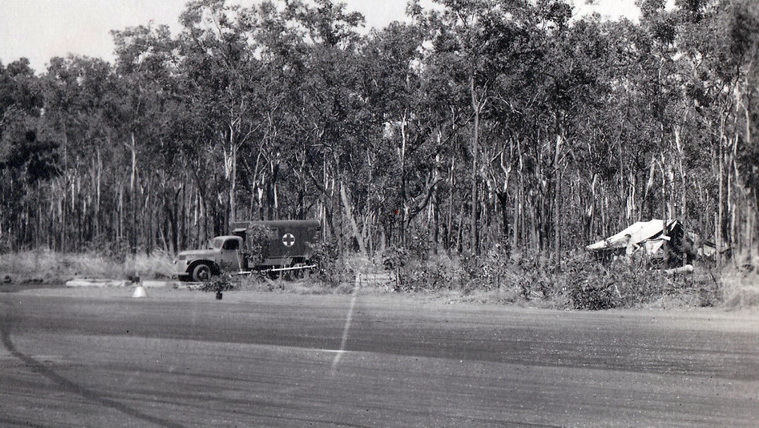 When I first visited this site in 1993, the airfield had just recently been cleared of shrubbery, and a new revetment constructed at the Northern end of the runway as part of the 50th Anniversary celebrations of the bombing of Darwin. The taxiways were all clear and a number of the revetments could clearly be identified. When I last visited the site in 2009 most of the taxiways had been fenced off and the strip was looking quite overgrown. Since then it is believed that some of the runways surface has been resealed in order to accept the fire fighting aircraft. The runway itself is aligned North North West by South South East and the majority of the taxiways can be found at the northern end of the field. The squadron camp and bomb dump are located to the East of the field. 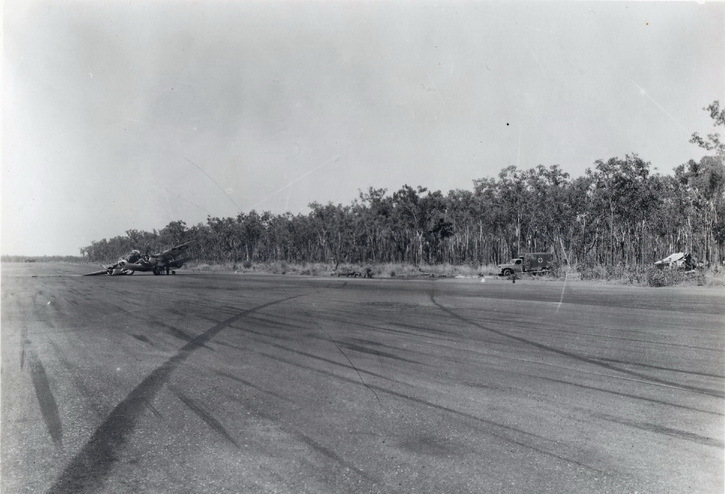 Dotted around the runway and taxiways are the remains of multiple light anti-aircraft positions constructed from concentric circles of earth filled 44 gallon drums. These AA positions would have contained M2 Browning, Lewis and Bren Machine Guns. It is also believed that these emplacements served as air raid shelters as many are located at intersecting taxiways. The aircraft revetments were constructed of packed earth and sheets of corrugated iron which served as the walls. (The remains of some of the revetment walls survive to this day). The revetments provided protection from shrapnel for parked aircraft in the event of an air raid. Means of concealment from the air were provided by camouflage netting which were strung out over each revetment. Hughes Field looking to the Northern end of the runway. Dry season. 1998. Looking to the Southern end of the runway. 1998. 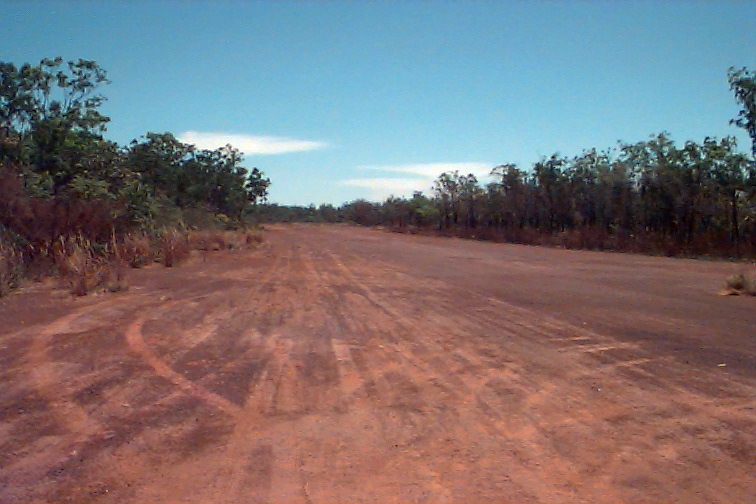 Looking South from the Northern end of the Runway. 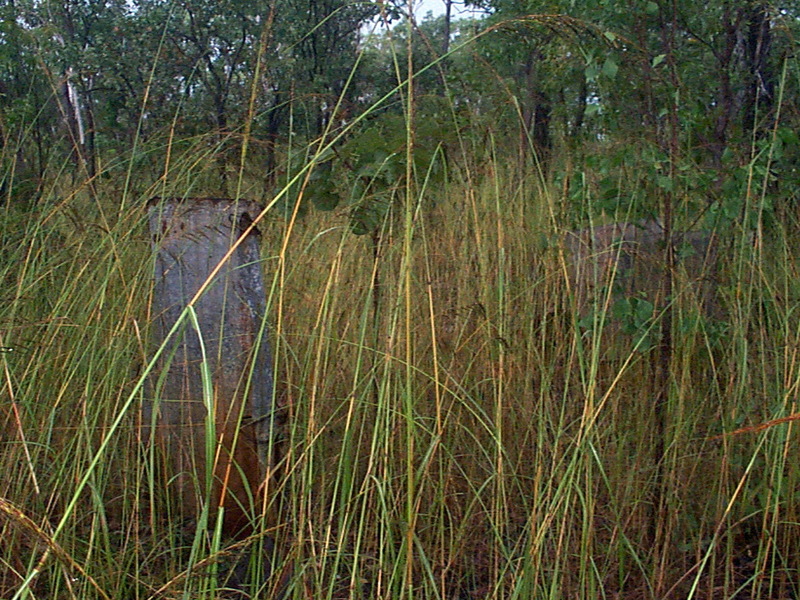 Wet season 2001. An Anti-Aircraft position at the intersection of the runway and one of the taxiways. Dry Season. 1999. 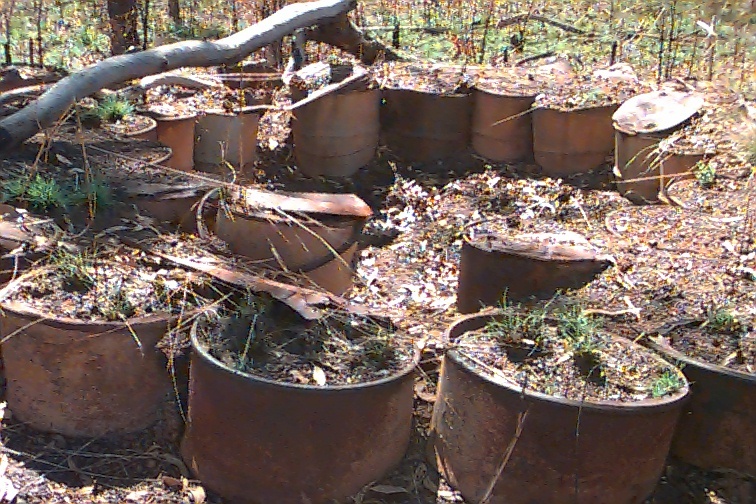 The 44 gallon drums filled with earth provided a good level of protection from shrapnel and strafing aircraft. 1999. (12 Div GS Branch NT Force unit war diaries, 1939-45 War, Australian War Memorial, AWM52, 1/5/27-001). 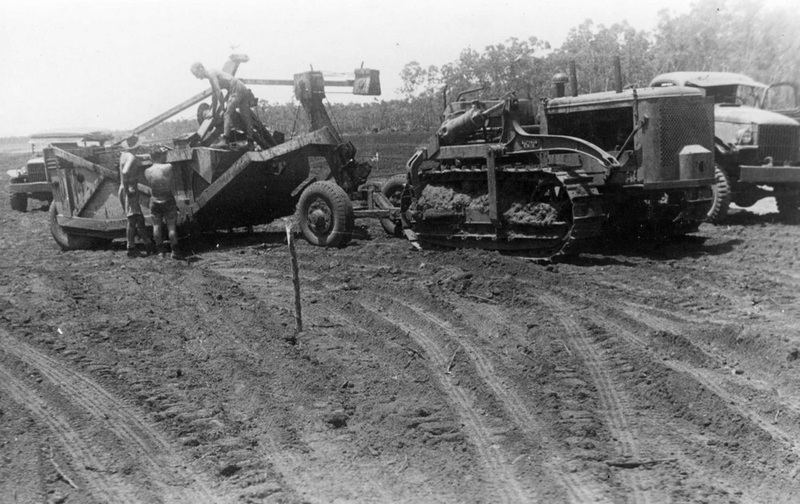 US Engineers working on an airfield in the North of Australia. 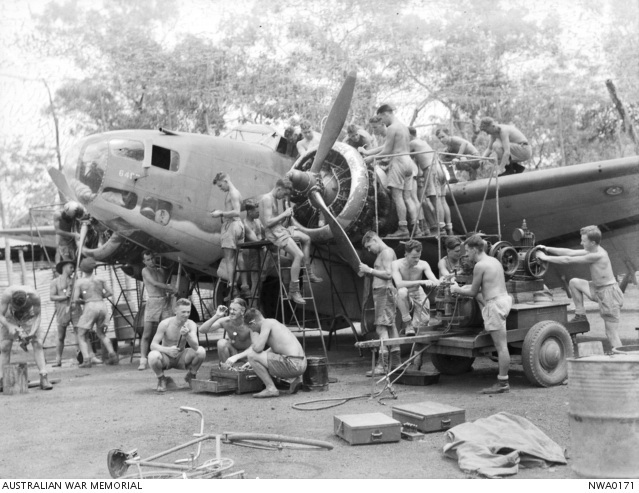 The main RAAF units to make use of Hughes were that of the No. 13 and No. 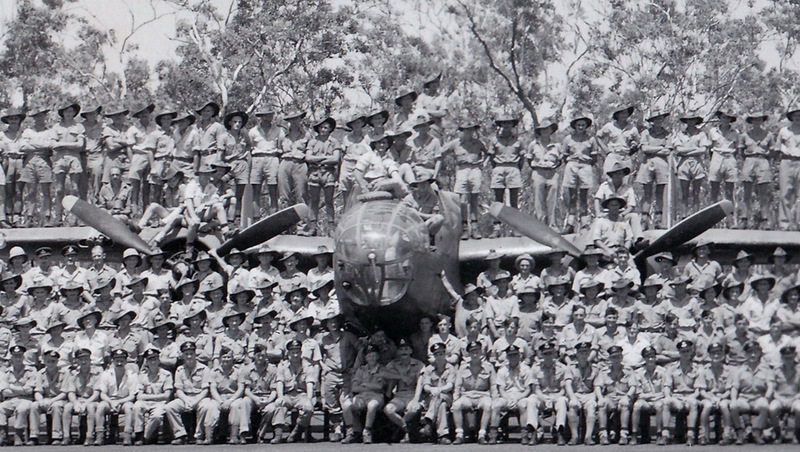 2 Squadrons RAAF. 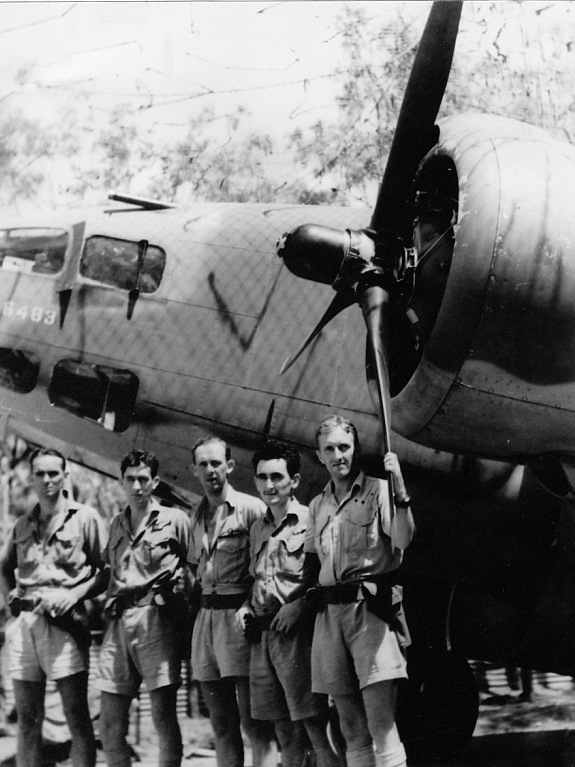 No 13 Squadron operated Lockheed Hudson Aircraft with No 2 Squadron starting out with Hudson’s before converting to Bristol Beaufort’s and then to the B-25C and D’s. It also appears that other units also used the airfield from time to time for emergencies. 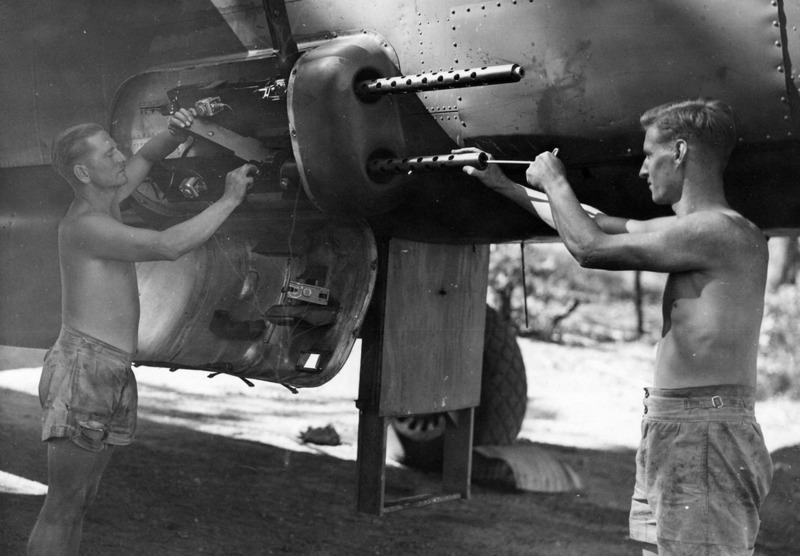 In this well known photograph, a Lockheed Hudson of number 2 Squadron RAAF is being serviced in a revetment at Hughes Field. Note the BSA bicycle in the foreground. AWMNWA0171 – Copyright expired – public domain. The remains of the walls of a revetment at Hughes Field. 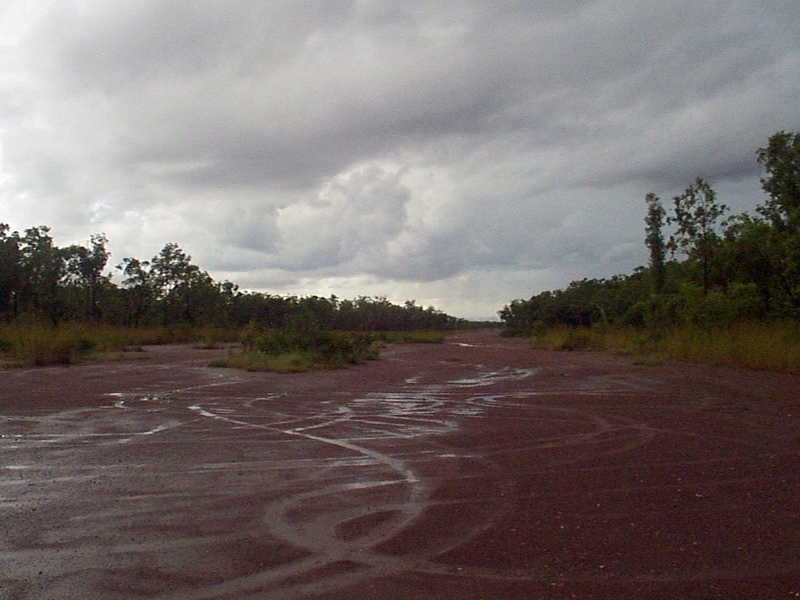 Wet Season 2001. 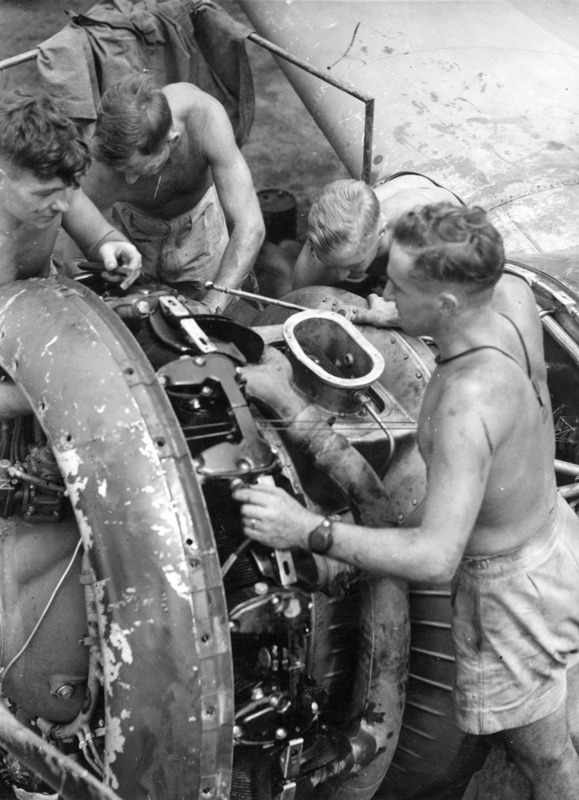 RAAF mechanics working on one of the two Wright Cyclone R-1820’s fitted to a Lockheed Hudson in the North West Area. 1943. (possibly Hughes Field). This engine type is quite renowned for its ability to endure vast amounts of damage and keep going. It also powered the famous B-17 Flying Fortress. A closer examination of the photo above reveals a Chev 4×2 Ambulance and a tent. 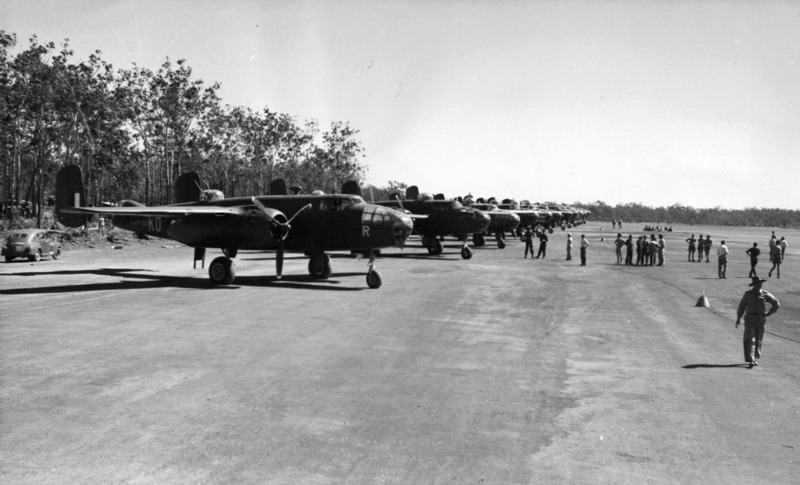 B-25 Mitchells from Number 2 Squadron RAAF at the Northern end of Hughes Field. 1945. It is revealing in that it shows the extent to which the sides of the runway was cleared. The bush has today reclaimed the spot on which these B-25’s sit. 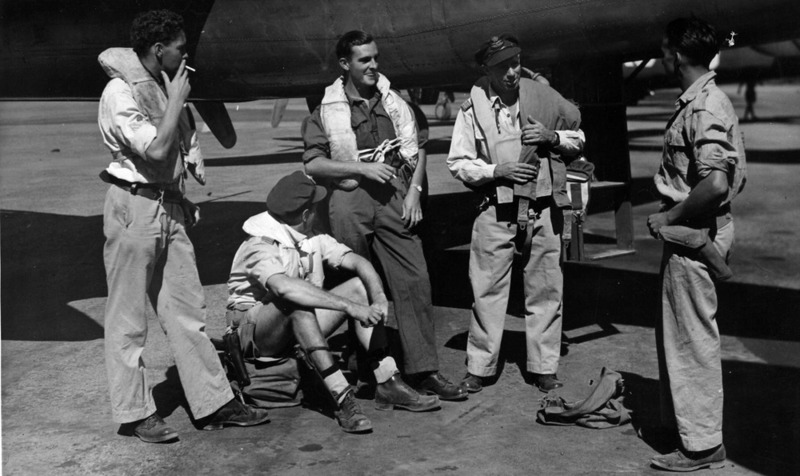 This photo is part of 3 photos as held by the State Library of Victoria and lists personnel from number 2 squadron RAAF. 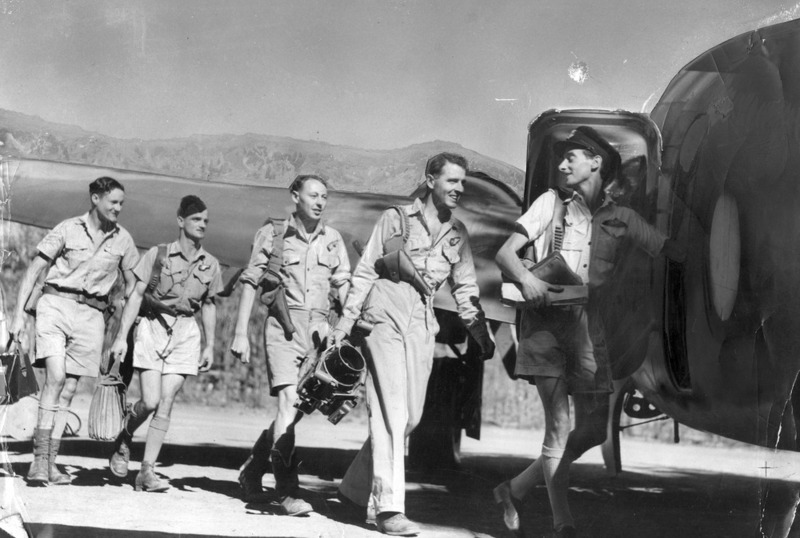 All of these personnel in this photograph are from Number 2 Squadron RAAF. 1945. There were a number of Anti-Aircraft units stationed at or in the vicinity of Hughes Field during the war. The first unit that occupied locations around Hughes were A,C and D troop of the 2/1st Light Anti-Aircraft Regiment in August of 1942 till July of 1943. (12 Div GS Branch NT Force unit war diaries, 1939-45 War, Australian War Memorial, AWM52, 1/5/27-07). 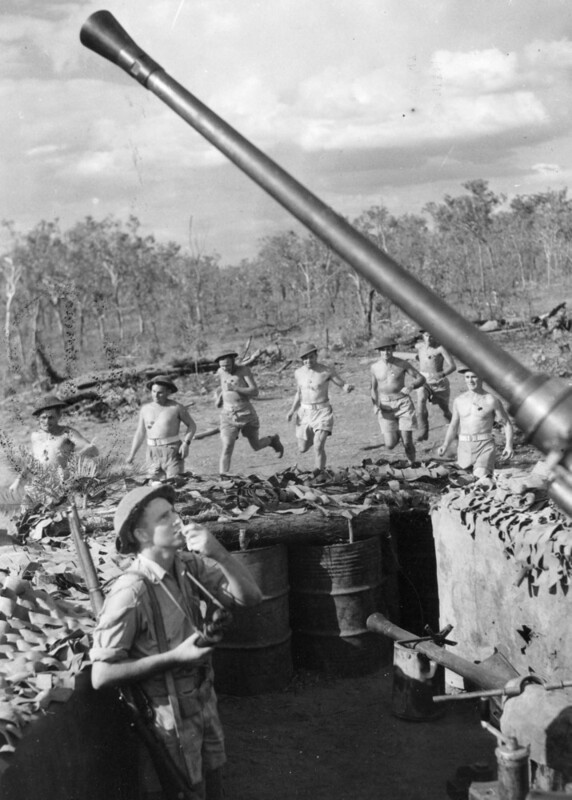 Anti-Aircraft gunners rush to man their 40mm Bofors Gun somewhere in the NT. 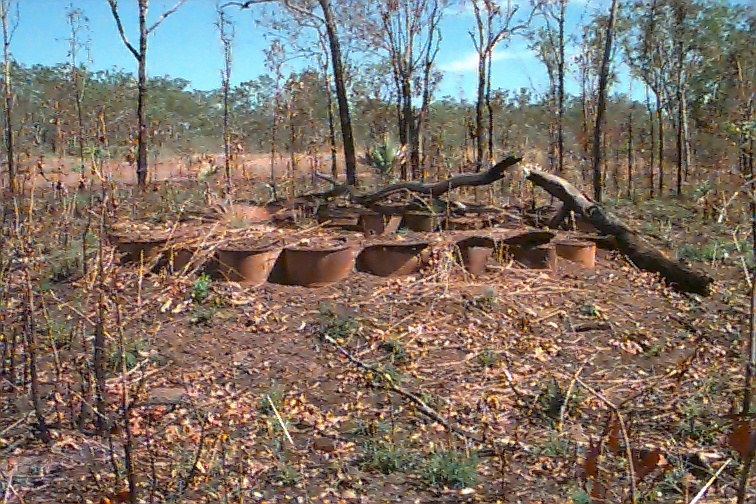 Note 44 gallon drums and camouflage netting.